Skin Resurfacing and PDT therapy is a non-intrusive way to deal with acne, inflammation, pigmentation, wrinkles and other skin concerns. In 2010 the total size of the South African cosmetics and personal care products market was estimated at R25.3 billion. That was seven years ago and the five years preceding that, the growth rate was 12% per anum. In isolation, a billion rand figure sounds astronomical, but when delving into personal use of cosmetics, it becomes quite clear how it all adds up. I’ve been wearing foundation since I was 15. If a standard 30ml bottle lasts me on average 3-4 months and costs between R200-R600 – At a median, I’ve spent a whopping R20,400.00 just on foundation in my make-up wearing lifetime. By the time I hit 80, this figure would be closer to R80,000.00 and this doesn’t account for inflation. And, this is only on foundation. I can’t speak for every woman out there but as opposed to other make-up I wear, foundation wearing has been solely to create the look of the skin I wish I had. Be it covering pimples and pigmentation, smoothing out pores and fine lines – foundation is an amazing tool to fake your way to great and sometimes even flawless skin. You just have to find your perfect match first (not such an easy feat). During my search for the best natural look foundation, it became apparent to me that instead of searching for a cover-up, I needed to find “a cure”. What if you could achieve the skin you want without dabbing on a drop of foundation? I consulted with Colette van Niekerk, the owner of Skinsense – an award-winning day spa in Rivonia, Johannesburg. She isn’t just a savvy businesswoman who not too long ago bought Skinsense and transformed it from just a beauty treatment spa to one that has hairstylists and a restaurant called the cooking accountants, but has also been in the skincare and aesthetic industry for 15 years. 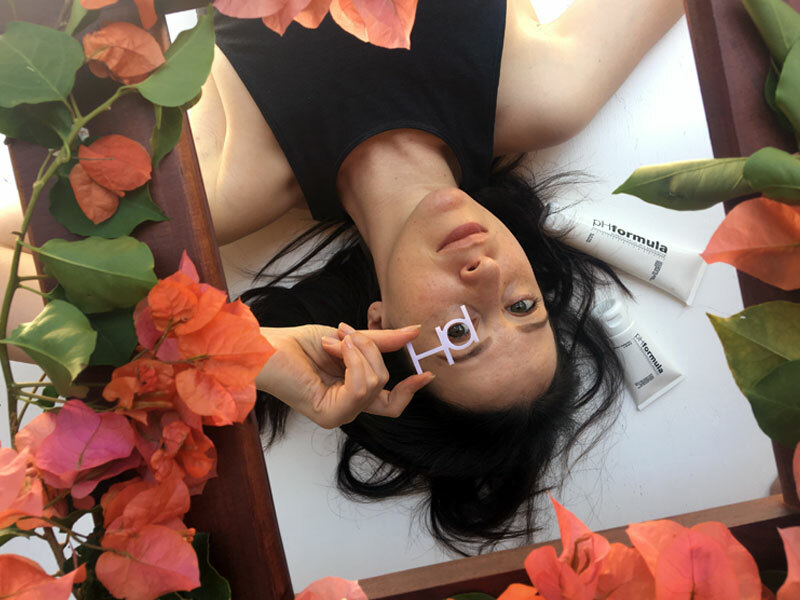 Her skincare knowledge spans incredibly wide and her drive to be up to date on skincare trends has seen her transformation of Skinsense transcend visuals, to grow the treatments on offer too. One of the advanced additions was bringing PDT Therapy to the spa. PDT is an acronym for Photo Dynamic therapy. Through the use of pure visible Blue, Yellow and Red LED light, it stimulates the skin tissue. Through different wavelengths, PDT can be used to target acne, pigmentation, ageing, hair loss, osteoarthritis, muscle pain as well as psoriasis. Colette tells me that PDT can even be used to treat cataracts. It can be used as a standalone treatment or for even better results can be used in combination with various other treatments. Colette is a big fan of combining treatments and as a chemical peels enthusiast, brought Nicoline Goldhill on board for a skin transformation. 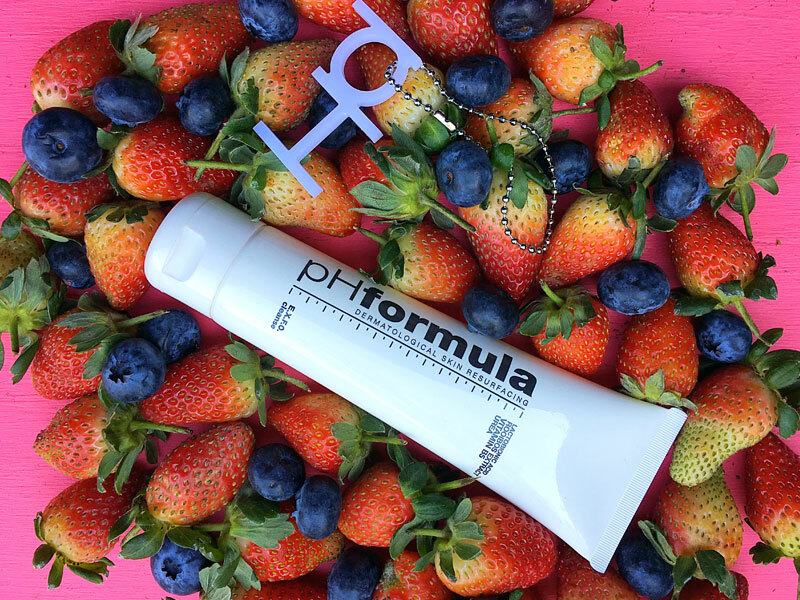 Nicoline is a pHformula consultant and pHformula have a very unique take on peels. Rather than refer to their treatments as peels, they call them skin resurfacing. pHformula is a pharma cosmeceutical skincare company that specialises in dermatological skin resurfacing. Based in Barcelona, Spain it was founded by Dr Fernando Bouffard and Petru van Zyl (originally from South Africa). They offer a small uncomplicated, beautifully presented range. pHformula’s treatments and formulaes are all backed by 30 years of science. All their actives are pharmaceutical grade (meaning higher potency, better results). They are available in over 35 countries and have 46 products spanning both homecare and professional and offer more than 26 customised treatment options. They work with active acids (none being buffers, which means they’re not diluted by any alkaline). They utilise a very specific delivery system that carries these active acids into the skin called PH-DVC™ – which is a polarised water. It carries the acids deep down into the skin which allows for less irritation on the surface of the skin. It is said to be one of the safest and most effective delivery systems that ensures maximum controlled proton release, equating to maximum efficacy. They are very specific not to call themselves a skin peeling system and rather refer to what they do as skin resurfacing. Their treatments result in a slow and gentle exfoliation on the surface of the skin. Effective chemical skin resurfacing is dependent on the type of acids used and the delivery system that gets the acids to the skin without causing excessive irritation. Conventionally, when liposomes or nanosomes are used in combination with powerful Pka acids, it could trigger uncontrollable delivery of actives resulting in spot burns in areas – these could lead to scarring or post inflammatory hyperpigmentation. Their combined powerful blend of active ingredients include Pyruvic, Galactaric, Mandelic, Lactic, Lactobionic, Salicylic, Azeloglycine and phytic acids all performing different functions. Where the Mandelic helps lighten spots, Salicylic helps prevent a build-up of dead skin. Phytic provides an anti-oxidant effect and Lactobionic is responsible for anti-aging action. pHformula have complexes that treat a vast array of skin issues such as acne, pigmention, chronic redness and ageing and after assessing my skin as acne prone, oily, inflamed at times and sprinkled with pigmentation it was clear that both PDT Therapy along with customised pHformula skin resurfacing treatments could solve all my skin problems. 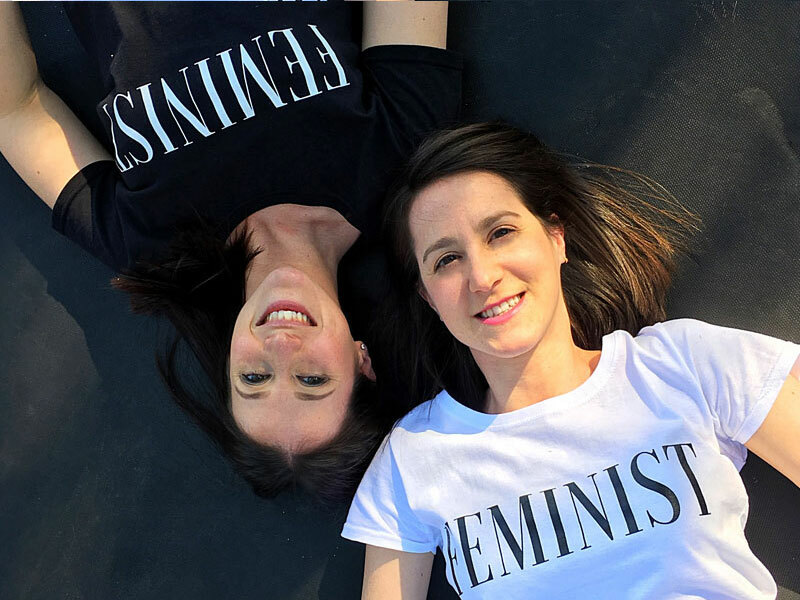 Between Nicoline and Colette’s combined expertise, the suggested course of treatments was a round of 8 PDT therapy treatments and 4 pHformula Skin Resurfacing treatments. In between the in-spa treatments I was also given pHformula’s homecare resurfacing kits to continue the work being done by the therapists. I didn’t know it at the time, but I was on the road to my happiest skin yet. I arrive at the serene Skinsense day spa at the end of June 2017 to a beautifully set up room with all the pHformula products on display. Even though my skin has been assessed via email with photos and descriptions, Nicoline begins a real-time assessment. This question although simple is one every skin therapist or beautician should ask their clients before embarking on a peel or skin resurfacing treatment. Most doctors will recommend a minimum of a 6-month wait between the end of a course of Roaccutane and the start of any resurfacing or laser treatments. This is because a side effect of taking the medication (during and after) is dry, more fragile skin which is susceptible to scarring. Therefore, harsh products and/or treatments that could potentially damage the skin should be avoided during treatment and for a period of time after stopping therapy. Nicoline explains to me pHformula’s treatments come in 3 different strengths – levels 1 & 2 are for therapists to use but level 3 is reserved for physicians. I ask her what I should expect as side or after effects. Their 3-in-1 game changing cleanser, cleanses, gently exfoliates and can be used as a mask. Nicoline said it would become my everything and she wasn’t lying. All their Homecare kits contain four products; the E.X.F.O. cleanse, P.O.S.T. recovery cream and then an active and recovery which vary with treatment. The active (to be used at night) introduces the skin to the same actives that are used in the treatment – she calls it daily exercise for the skin to stimulate it. The recovery cream, used in the morning, contains a blend of vitamins and actives which help restructure and build the skin. I ask Nicoline if someone can choose to tackle their skin concerns with just the products and no skin resurfacing treatments. She believes homecare is most important. 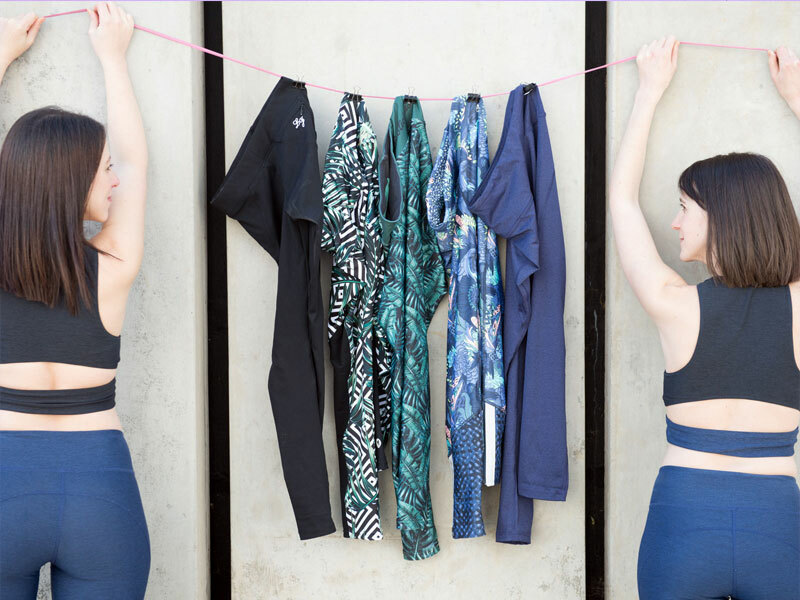 “I often tell me clients that if they’re not doing it on a day to day basis there’s no way you’re going to see results.” I liken this to exercise. Incredibly soothing music fills the room as I lie on the treatment bed with a blanket draped over me. My pores are still enlarged from oil production so the first step, Nicoline tells me, is to target the oiliness and diminish the pores. We’ll be doing this with an A.C. treatment. Skin Resurfacing happens at the same time so even though the A.C. is targeting calming down the oil glands, restructuring happens too. The homecare kit she gives me the C.R. kit which focuses on inflammation. “This is going to sort out all the little concerns; hyperpigmentation, excessive oiliness.” At this stage she doesn’t know what is next but hints we could be using the A.C. Kit to sort out oiliness or moving over to the M.E.LA which focuses on pigmentation. With formalities out of the way the time has come for the treatment to begin and Nicoline starts by washing my face with E.X.F.O. cleanse. She applies a pea-sized portion dry to the face. Dry meaning dry hands and onto your dry face and you cream it in. She also drops a hint that it can be used as an eye makeup remover which causes no irritation – Later when I discover it’s the first cleanser to not burn my eyes, I’m sold. After the wash Nicoline degreases the skin. “Because our acids are water soluble and not oil soluble we have to degrease the skin.” She wears gloves to prevent any oil that may be on her hands getting onto my skin. There’s alcohol in the degreasing solution which causes it to evaporate when it comes into contact with the skin. It also has a very strong smell which disappears as quickly as it arrives. She applies this cool “liquid” with a flat brush to my skin and it starts to tingle. She asks me to give her an indication on how powerful the tingle is from 1-10. I say it’s slight so she says we’ll wait two minutes to allow it to settle into the skin. She continues to massage it into my skin and when she asks again and I say 2. She then removes the excess and is ready to begin. She applies a little occlusive (which feels like Vaseline) on areas we don’t want to resurface; the insides of the nose, the corners of the mouth and around the eyes. This creates barrier in case the actives run. Nicoline begins applying level 2 of the A.C. Skin Resurfacing treatment to my face. Before long my face starts tingling, this time I grade it a 4. It’s noticeable but bearable. The tingles lingers. She tells me to let her know when it subsides so she can apply a second layer. She does and the tingle gets more intense. It’s tingly and hot feeling like I have an internal heater going. The heat feeling is due to the inflammation created by the acids, this inflammation is healthy inflammation causing a good response from the skin. I’m now up to a 7 or 8 and Nicoline speeds up the process by fanning me. She observes frosting on my chin and forehead which she says is good. She begins prepping it while I relax. The brush strokes with the cool serum feel incredibly soothing on my skin. We move on to an advanced charcoal mask. Charcoal is having a huge moment in the beauty industry. Nicoline slathers the dark grey goopy substance onto my face with a spatula. It feels incredibly comforting after the heat and tingle of the resurfacing treatment. As it dries it turns from liquid into a waxy consistency. Its waxy texture is because it’s alginated so it easily peels off. There is seaweed algae that is used for hydration which gives it a silly putty feel. While I wait she gives me a hand massage with their anti-ageing hand cream. I ask if they do the resurfacing treatment on hands to target signs of ageing and she tells me they do – often – with the M.E.L.A. Clay mask, followed by the Vitamin C serum treatment and then a hand massage with their hand cream. At this stage my skin is feeling very hydrated. Free of any solutions we’re now ready for my first PDT Therapy session. Colette decides that to match the resurfacing treatment she’s going to do the Acne targeting light program and when we switch to targeting pigmentation we can do that as well with the PDT. I’m very fascinated by how this works and Colette likens it to when a baby has jaundice and is placed under blue light. Each colour of light has its own abilities and range of what it will help and which conditions it can target. With acne targeting, the blue light penetrates 2-3mm into the skin and is more the superficial targeting. The machine itself already has programmes listed according to different treatment targets – your therapist isn’t the one deciding strength, duration or light colour but rather it is based on studies that have been done. The machine also asks skin type to be set – the darker the skin, the longer the treatment time you need is and the machine compensates for that. With a white fair skin, the sessions I was about to start would be quicker than someone with darker skin. The difference? 12 minutes for me, 20 for darkest skin. I ask Colette how quickly one can hope to see results from PDT. “It really depends on the condition how quickly you’d see results and how often you need to come.” With acne she recommends twice a week. “You won’t feel anything”, Colette assures me, “there is no heat or sensitivity”. There is also minimal contraindications – epilepsy or migraines. Colette explains that the pulsing light might trigger it. Also with pregnant women they wouldn’t treat the stomach. She covers my eyes with cotton wool. I can’t see it at the time, but the machine has an arm that gets rolled over the bed over your face. She places it as close to the skin as possible. She also closes the blinds so sunlight doesn’t interfere. She sets the program and once again calming music comes over the room. My eyes are closed but I can sense it has started with the blue light. I’m incredibly relaxed and Colette talks me through the differences in pulsing and continuous light. 12 Minutes later the PDT session comes to an end. Nicoline now applies post recovery cream to my skin and sprays some vitamin B mist which gives a radiance and moisture to the skin. I leave wowed by Skinsense and sure that I’m about to become a pHformula convert. My face is warm and supple. I arrive home quite simply glowing. My skin is slightly pink and plump. Over the next 2 days I experience a tight dryness. On the second day the peeling begins on my chin only and continues on day 3. Day 3 also coincides with my next PDT session and afterwards I notice that the peel on my chin is more aggressive, as the day progresses the peeling gets worse on the chin but it feels like the PDT has moved it along, promoting the healing that Colette spoke about. After that night washing with E.X.F.O cleanse and putting on the P.O.S.T. recovery cream, the aggressive bits have peeled off and I’m just left with incredible light flaking for a few days that is only visible close up. 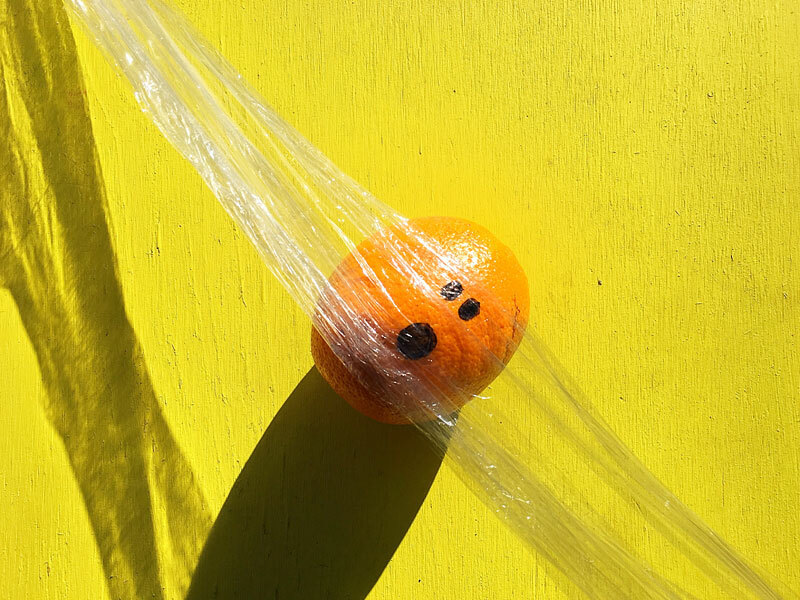 It is very interesting to me that the aggressive peeling happens only on parts of the skin I had had pimples. Nicoline explains that this is because it targets the unhealthy areas and doesn’t do harm or damage to healthy areas. It’s now a week after my first resurfacing peel and I’m back for my 3rd PDT session. My skin is looking radiant and all flaking has now completely cleared. I continue going weekly and when we reach the 4th week I go in for my next skin resurfacing treatment. Despite the switch, I’m still going to be using the C.R. home kit and will only witch to the M.E.L.A. at the next treatment. The treatment follows the same pattern as the first. She begins with E.X.F.O. cleanse and at this stage I’m wishing Nicoline could wash my face daily. She again does the sensitivity test because skin changes from session to session. I grade it a 3-4 out of 10. We’re doing three layers of level 1 today. The M.E.L.A clay starts to make my face feel warm over time but the tingle remains at a bearable level. Nicoline adds the layers slowly, massaging each into the skin as she goes. The massaging action gets it going but it takes a while to feel the tingle because of the slow release acids. When we’re done she cleans it off my face and we end off with some Vitamin C serum. With the M.E.L.A. skin resurfacing my face only starts to peel 5 days after the treatment. I continue with the weekly PDT sessions. These sessions start becoming my end of week micro therapy. I schedule them for Friday afternoon after work. The wonderful ladies at Skinsense always begin by washing my face to remove all makeup. I then lay under the light with my eyes closed, goggles on, soothing music in the background and fluffy blanket covering me. For 12 minutes the world around me fades away and I leave fresh and rejuvenated. Sometimes after the PDT my skin feels tight and dry but the P.O.S.T. recovery cream becomes my best friend, as Nicoline said it would. I’m only 2 months into the treatments and already I’m noticing the changes, my skin is brighter, smoother and more even and because resurfacing treatments also stimulate your collagen and elastin fibres, my skin feels firmer. It’s week 8 and I go in for my 2nd M.E.L.A. skin resurfacing treatment (my 3rd skin resurfacing treatment) and my final PDT. I’m experiencing some new breakouts and Nicoline notices a lot of blackheads on my face. 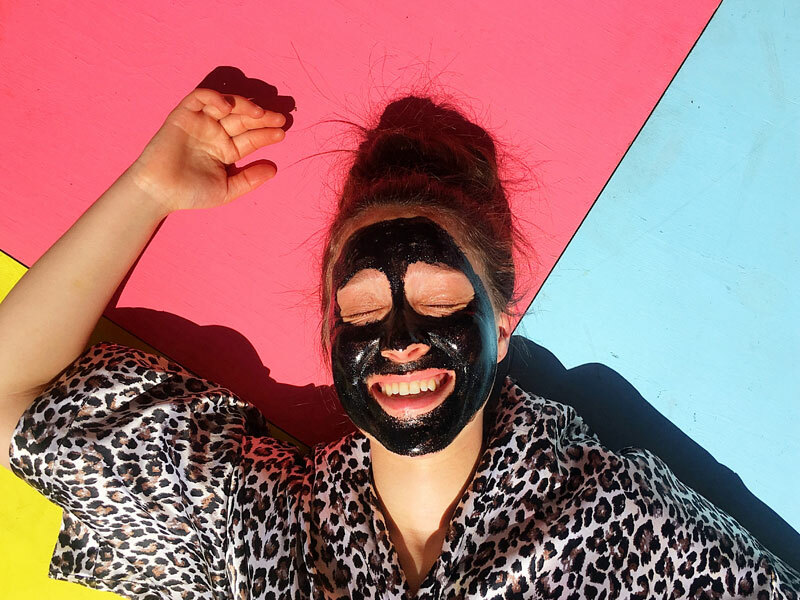 Nicoline explains that with the gradual increase of pigmentation treatment it is sometimes stimulating for the oils, she says the blackheads might be a sign that the skin needs to shed so she wants to give the skin a good exfoliation with level 2 and 2-3 layers. She extracts the blackheads, gives me some helpful tips and applies some acne treatment later (which they sell as a homecare product which I later buy). It is now that I switched to the M.E.L.A. Homecare kit even though there is still some product left in the C.R. one. 2 weeks later I go for my 4th and final skin resurfacing treatment. My chin is very red so Nicoline decides to do a combo treatment by doing the A.C. on my chin and the M.E.L.A. everywhere else. She is demonstrating how their compact range can lend itself to 26 customised treatments. Without having PDT therapy in between, it is visibly noticeable that the healing was not as fast. The session goes well and I use Nicoline’s combo idea to tweak how I use the homecare kits at home. Seeing as the C.R. wasn’t finished when I started the M.E.L.A. I use the C.R. on my chin and the M.E.L.A. everywhere else. This seems to be the magic formula. I noticed a difference in my face right away after the very first treatment. There is no doubt that the A.C. skin resurfacing treatment and PDT therapy worked together to minimise my pores, control my oil and clear up breakouts. This is a treatment combination I would definitely do again. Over time as we moved onto M.E.L.A skin resurfacing the overall evenness of my skin tone vastly improved. Before I started I wouldn’t walk out the door without dusting on some kind of foundation or concealing powder, even to gym at 4.30 in the morning. By the end of my final skin resurfacing treatment, I was comfortable going anywhere without any foundation and working out in makeup became a thing of the past. The pHformula range of products also undoubtedly played a massive role in improving my skin. Aside for my religious use of the E.X.FO. cleanse and P.O.S.T recovery cream, I’ve continued using the actives and recovery up until the final drop. The M.E.L.A. active only finished at the end of last week – 13 weeks after I started using it. I also made use of their support range. Their hydra serum was nothing short of amazing. Although I didn’t really notice that it was contributing to the added brightness and plumpness of my skin, when I got to the bottom of the bottle in an effort to extend its life I chose not to use it every night and day. The days I woke up after not having used it, the difference in my face was instant and those were the days I wanted to reach for concealer and foundation. Their S.P.O.T. on pimple treatment is a product I bought after seeing how amazing it was when Nicoline used the therapist version on me during treatments where I had a pimple – if caught at the beginning of the pimples formation, they were gone within a day. With the difference in my face on days I didn’t use the serum, it made me wonder what kind of maintenance I’d need to do in order to keep my skin looking this great. If I didn’t maintain it would my results go away? I could continue going for monthly skin resurfacing treatments and PDT Therapy sessions to reawaken the skin and maintain a healthy glow, but I can also do this every few months and make use of homecare products in between. Today my skin is by no means flawless. I still have days where I find my skin is oilier than others and every now and then the odd pimple pops up on my chin. I also still have some pigmentation on my face. My skin however has stopped breaking out, the oiliness has reduced, my pigmentation has lightened, pores are minimised, there’s been a reduction in wrinkles, tightness has improved and my skin tone is even. Overall I am comfortable in my natural skin, and that I believe is priceless. No foundation, concealer or filters. Want to test PDT therapy and pHformula Skin Resurfacing treatments for yourself? The first thing to know is that although I noticed a difference immediately, results vary based on condition and a course of treatments is recommended. Colette recommends 8 PDT sessions to see results and Nicoline says depending on the state of the skin condition it may take up to 4 to 6 skin resurfacing treatments to achieve the result. 1x PDT Therapy session at Skinsense Day Spa costs R350. An 8 session package is priced at R2400. A pHformula 4x skin resurfacing package is R3150 without an advanced mask, which is an optional extra. To add an advanced mask after each skin resurfacing treatment (like I had) it is priced at R1200 (R300 each). Skinsense conveniently stock the pHformula homecare kits too. They are designed to be used in conjunction with your skin resurfacing treatments and can be used beforehand to dip your toes in the world of skin resurfacing. I used the C.R. Kit (R1650) and M.E.L.A. Kit (R1750). They also have an A.C.N.E Kit (R1650) and A.G.E. Kit (R1650). All kits come with 4 full sized products. To find out more and make a booking visit Skinsense here and learn more about pHformula Here. If you have any questions on my experience and results, drop a comment below and I’d be happy to answer them all. Photography by Feige Lewin and Zissy Lewin. Styling by Zissy Lewin. Zoom-in skin before and after pictures by Nicoline Goldhill.